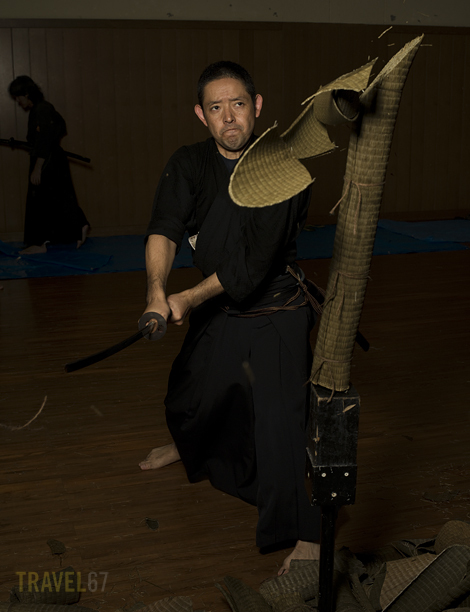 I spent Saturday morning in Naha’s Budokan (The Prefectural Martial Arts Center) photographing Tameshigiri Taikai ( the slicing of rolled tatami matting with a samurai sword). 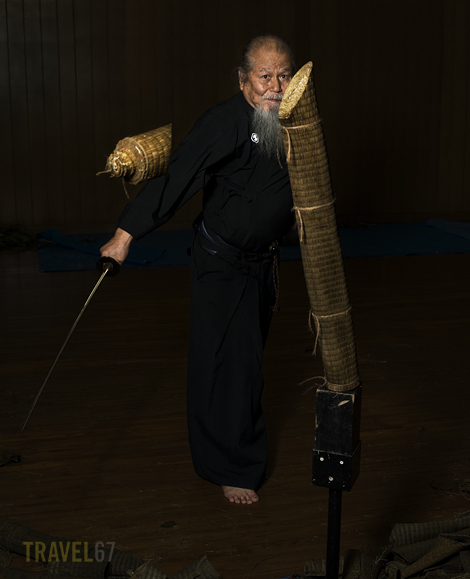 Hamamoto-sensei swiftly lops of the head of the mat. 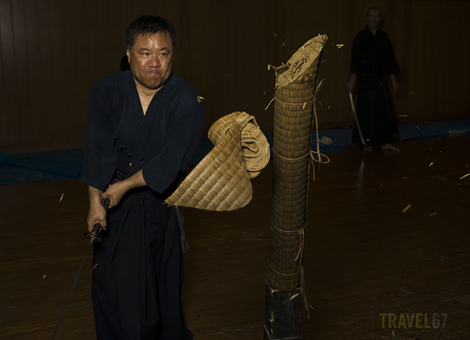 Hamamoto-sensei smoothly slices through the roll of damp tatami matting. The matting is analogous to human limbs in its resistance to a blade. Impressive and yet somewhat unnerving. I’m told the man in the above photograph is a surgeon. 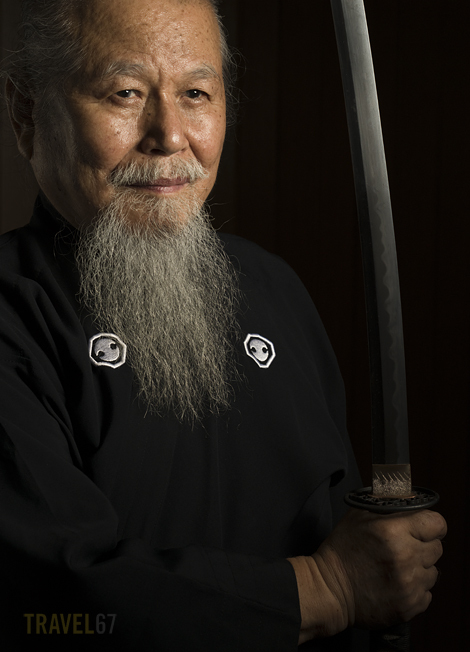 He certainly had impressive blade control, although would be somewhat nervous if he took a katana rather than a scalpel into the operating room.